"What's a good estimate for your driving-distance potential? If you're not hitting it 2.5 to 2.7 times your clubhead speed, you need a better-fitting driver, a lesson, or both. This means if your swing speed is 75 miles per hour, you have the potential to hit your drive at least 185 yards. If your swing speed is 100 mph, your distance potential could be as high as 270 yards. But most golfers are woefully short of their potential. Two-thirds of the players in our survey weren't within 15 yards of their potential driving distance, and half of those were 30 or more yards short of optimum." What does this mean? That if you are muggling along trying to play golf with non-fitted clubs you are at a major disadvantage and probably hitting the ball around 25 yards LESS than you should! To quote Golf Digest again, "our data suggests that many golfers would benefit from more loft on their driver and perhaps a softer flexing shaft. But what we all really need is a quality driver fitting. 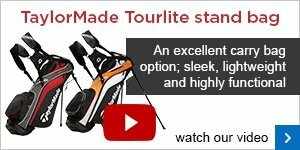 With the feedback available from launch monitors and the increasing ability of good fitters to work with quality instructors, the right fitting can change your clubs and even your swing." 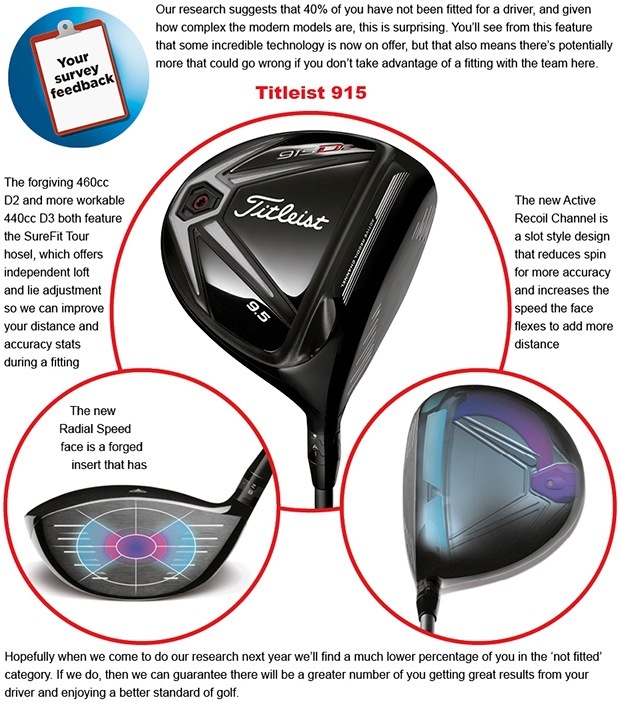 I did a fitting about an hour after reading this article for a golfer last week and the point was proved, he played off 14 and had a pretty average clubhead speed of 80 mph, his driver distance was around 180 yards. After trying out various lighter, more flexible shafts and a bit more loft we settled on the new Callaway XR driver – the result was he was now hitting the ball 205 yards with the same club head speed. He hadn’t changed anything with his swing but we had found an extra 25 yards for him, needless to say he was very pleased and couldn’t wait to get out on to the golf course so he could impress his pals! Click here to read the full article, it makes very interesting reading. To book your fitting session contact me here. 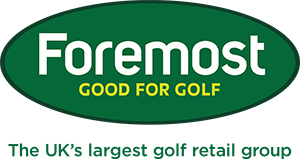 We have a fitting day coming up today with TaylorMade on Thursday 5th March from 2-6pm, there are two slots left for a FREE fitting available with Jamie Guy on any of the exciting new TaylorMade range this year including the new ultra forgiving three slot RSi irons, R15 adjustable drivers and the ultra-light and mega long Aero Burner range. The two slots we have left are at 4pm and 5pm, contact me here if you would to book one of these slots for this afternoon. If you haven't booked a slot you are still welcome to come along if you want to demo any of the new TaylorMade 2015 clubs on the range. There will be special 'one-off' offers available on the night so they are well worth attending! Both the Winter League semi-finals have now been played and they were two close games played in great spirit. In the first match Gareth Eaton and Liam Tyrer recovered from losing the first two holes to record a 3&2 victory over Dave Johnson and Antony Green, there was some great golf played and they shared a total of seven birdies between the four of them. The second match saw last year's Winter League champions James Eaton and Julie Daines continue the strong defence of their title by overcoming Andie Fraser and Paul Underwood by the margin of 2up, in a tight match James and Julie hadn't been ahead until they crucially won the seventeenth and then up the last hole the pressure told as Paul and Andie couldn't take advantage of their shots to win the hole. So the final will be played on Saturday morning at 9.40am and will pit sibling against sibling as defending champions James Eaton and Julie Daines take on Gareth Eaton and Liam Tyrer for the Winter League title, it should be a titanic battle between the two form teams of the winter and spectators to cheer them on are more than welcome, best of luck to all the players involved! The March Medal was played on Sunday, the competitors started their rounds in sunshine however squally showers soon started to pass through which made conditions far from ideal. The winning round came from 15 handicapper Simon Stephenson with a nett 67, the February Stableford winner Jonno Ness started and finished his round with eight's but the other sixteen holes were pretty good as he battled through for a nett 68 to come second, there was then a big gap to third place as Ian Daines returned a nett 73. The poor weather made scoring difficult which was reflected in the unusually high CSS of 67. The next competition is the March Midweek Stableford on 11th March and the March Bogey takes place on 14th March. Next week Andy and his green keeping team will be carrying out course maintenance week, this mainly involves work on the greens to ensure that they are set up well for summer season. The main part of the work will involve micro-tining and top dressing the putting surfaces to feed them ready for the growing weather, but the course will remain OPEN as usual throughout this time and golfers should notice very little disruption. The seniors played a nine hole Texas Scramble on Tuesday, there was again a good turnout of 32 players with the winning team being Robin Baker, Brian Whitworth, Paul Green and Tim Donnelley with an amazing score of nett 21.25. Next week the seniors play a nine hole Stableford competition. There has been a change of date for the Lady Captain's drive in - this will now be taking place on Sunday 29th March, the new Lady Captain driving in will be Annie Rowland and it would be great if all our ladies could be there to support her as she takes over from Jill Bebbington. Annie will be driving off at 12.04 pm on the Sunday and there is also a nine hole competition taking place afterwards, if you would like to play please put your name down on the entry sheet on the ladies notice board. The ladies Hartford Golf Club Glenmuir sweaters have now been ordered and we are looking at the middle of March for when they will arrive in the shop, also you may have noticed that there is a bit more colour in the shop as the new ladies Spring clothing now from Nike Golf has now arrived. The clothing is built around the striking Volt colour theme which you will see a lot of this season, call in the have a look now at the new polo shirts, cover up tops, skorts and trousers we have in stock. We have just taken delivery of the new FootJoy Spring clothing collection and this is the first time we've stocked the clothing. FJ are known for the quality of their products and their apparel is no different - it oozes style and class but at an affordable price. We have mens and ladies clothing in stock and some of it is crested with the Hartford Golf Club logo, we have polo shirts, sweaters, trousers and casual tops and they are very reasonable priced. I'm sure this clothing collection will be very popular as we enter the spring/summer period, call in as soon as you can to have a look! This is an offer not to be sniffed at, especially when we’re talking about TaylorMade’s Tour Preferred and Tour Preferred X golf balls. On top of this you can personalise your balls for FREE and pick them up from us in the pro shop at your own convenience, with no extra cost. 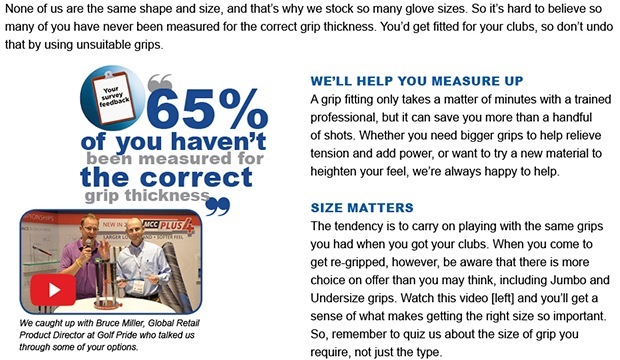 We’ll also be able to give you a steer on what ball will suit your game. A good time to get stocked up!